Can the Japanese Foster Innovation? 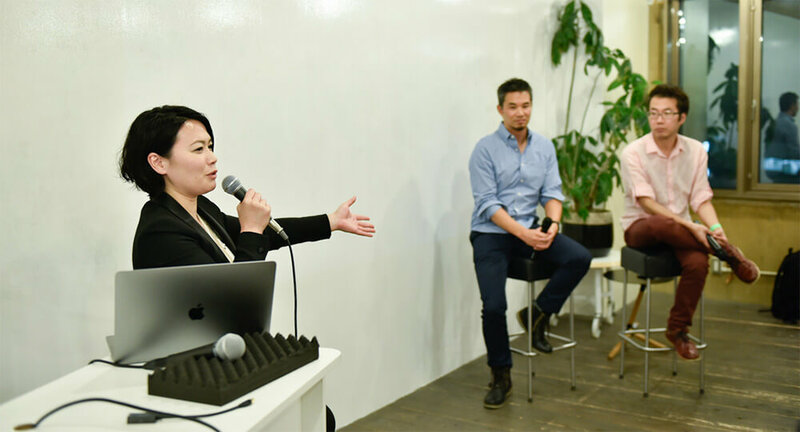 Loftwork Inc., FabCafe, MTRL have created a support program and open community, COURIER, which assists innovators that target the global market. A meetup and presentation based on the topic, “Which city has the most global business opportunities?” was held on November 10th, 2017. At the event, nine business leaders knowledgable of the various regions in Japan shared their expertise and challenges. On this day, together with FabCafe, which have opened 10 offices throughout the world, Loftwork Inc. announced the opening of its new hub for global business in Hong Kong. 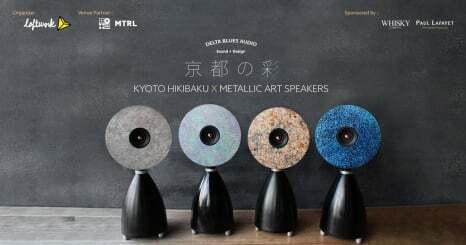 Furthermore, along with the opening of MTRL Hong Kong, Loftwork Inc. also announced the launch of an online platform, “Material Service （MTRL.com）”, which connects material manufacturers with creators. If we can utilize FabCafe as a platform for startups which aim to expand in the global market, we can persuade executives and investors to expand their businesses and thus create more possibilities. 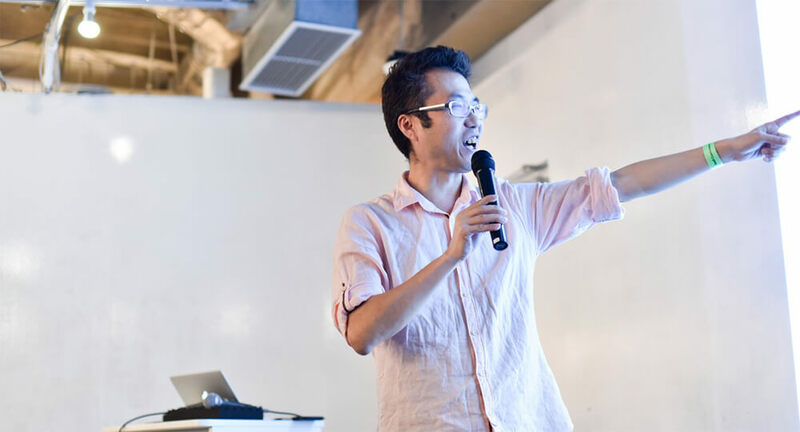 Suwa explained how from this idea, COURIER, a community of businesses was born—a community that thinks of new ideas, puts them into practice and shares them. The holy ground of startups—Silicon Valley. 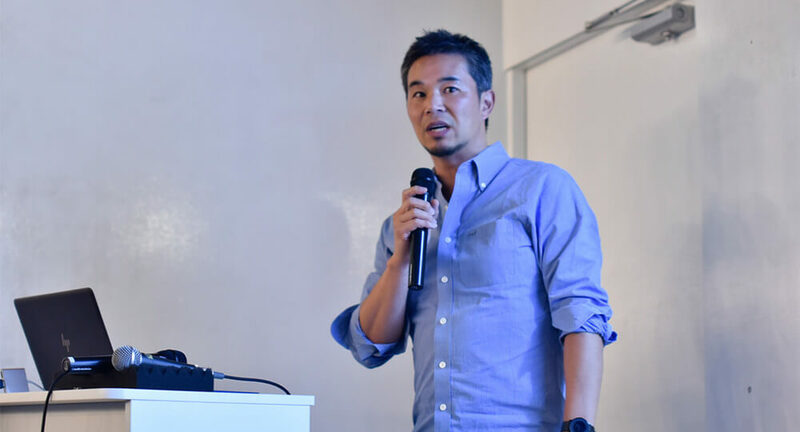 CEO of consulting firm Pacific Sky Partners Zak Murase, while describing how “unfortunately, the Japanese do not have a presence in Silicon Valley,” provided the following analysis of why Silicon Valley is known as the holy ground of startups. The good weather creates a welcoming atmosphere to share new ideas and start new businesses. There has been a continuous cycle of achievers of success breeding new achievers since the 1960’s. Meanwhile, the prices in general are 2.5 times those of Tokyo. This is characteristic of Silicon Valley—labor costs and cost of living are high, which can make placing a development team in Silicon Valley unrealistic. Given this situation, do startups have a chance in Silicon Valley? 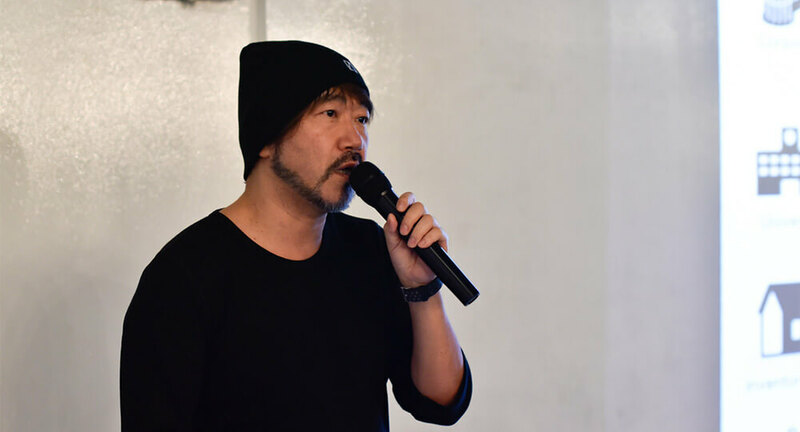 Murase shared the following recent topics. Although the number of investments is declining, the total investment is on an increasing trend. Therefore, the new start investment in startup is increasing at the same time. Investors have been actively investing in seed stage startups which are performing well, showing how they are carefully selecting where they are investing. Even if startups are able to innovate, they are either acquired by the “Big 5,” Facebook, Amazon, Microsoft, Google and Apple, or are completely crushed. With that said, what do the Japanese need in order to perform well in Silicon Valley? Murase finishes by highlighting the 3 points below. 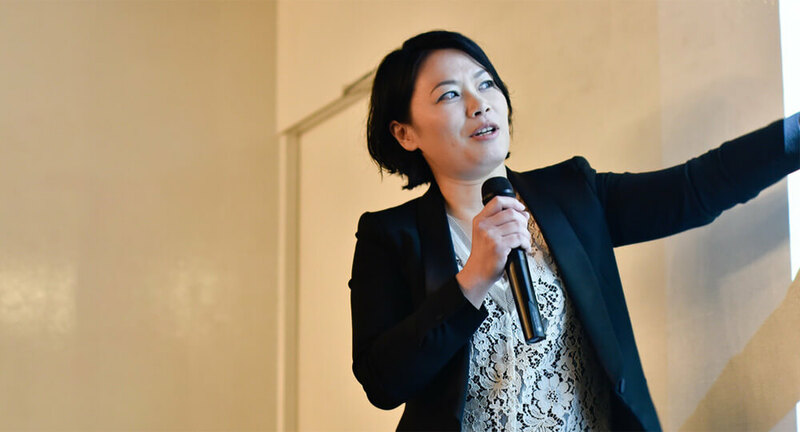 Next, CEO of Network Communications Corp., Naoko Okada explained the business situation in Washington D.C., where her business holds an office. She emphasized how the city provides a suitable environment for startups—there are many security startups, rate of growth of entrepreneurs is number one in the U.S., the restaurant industry is booming, the city is undertaking a project to become a smart city (Smarter DC Project), the local embassy and chambers of commerce give strong support. Case study: What is the methodology behind bringing Japanese goods and services overseas? Tomohiko Nihonyanagi of Loftwork, Inc. raised the example of the “MORE THAN PROJECT“, a project which has supported the overseas expansion into 21 countries for the production of the “JAPAN brand.” He emphasized, “Bringing products and services overseas means bringing products and services to local markets. If a business does not understand this, they cannot sell. It is important to understand which regions and markets to target, understand their lifestyles and the market trends.” He shared some specific ways to approach this issue. 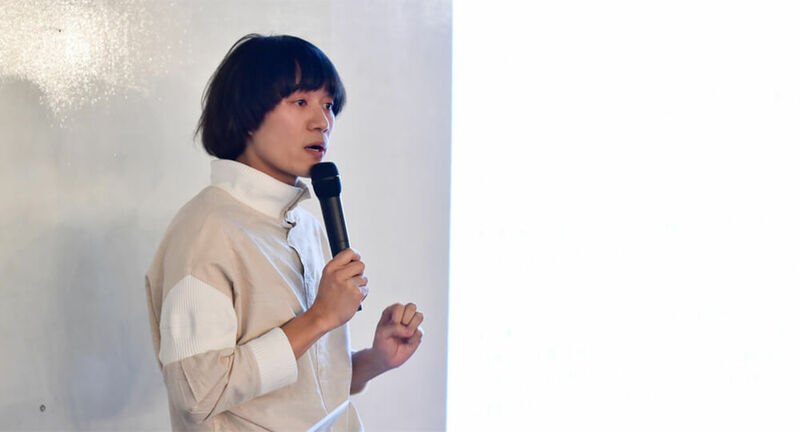 Likewise, Takuya Hotta, CEO of Culture Generation Japan Co., Ltd., described the case of how Tokyo Some-Komon was successfully arranged into a Muslim dress as a way of promoting traditional Japanese dyeing methods overseas. He provided an analysis of the keys to success. The most important thing is to match with a business partner who shares the same sense of direction and passion. Partnering with designers and distributors with existing markets can make success more likely. Clearly understand constraints, costs and strengths of the company’s product. Always use the underlying passion as a base to make decisions. Do not lose your sense of purpose. With this point in mind, Ikeda introduced some startup hubs (cities) that have attracted attention. After renovation of a railway depot, Paris became home of the world’s largest startup campus, “STARTION F“. The French president, a former investment banker, has shown his active support for startups. Paris is also well known for its richness in talent in the field of A.I..
Methods of raising funds is becoming diverse. “Funderbeam” or the use of blockchain-based technology to bring together investors and companies is extremely interesting. Birthplace of Nokia. Many hubs for research and development with major startup activity. Oulu is famous for its event where startups pitch in the frozen water of the Baltic Sea. Israel’s largest festival for startups, DLD Tel Aviv, is held every September. Tel Aviv has become one of the prominent startup hubs of the world. 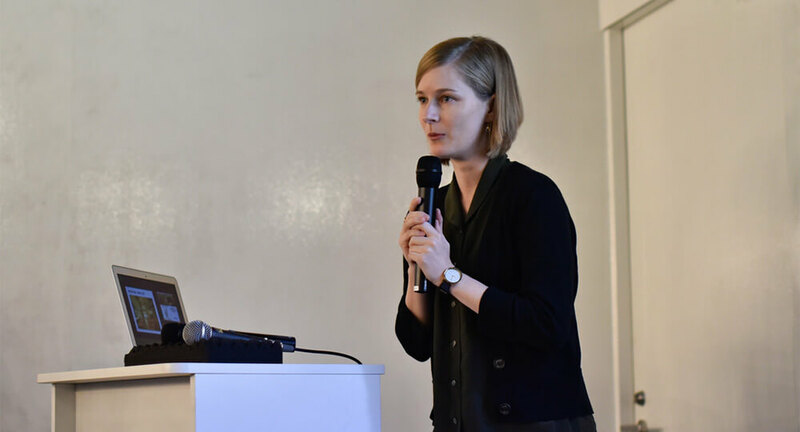 Next, Kelsey Stuart, in charge of international communication of FabCafe at Loftwork, Inc., describes how FabCafe has built a global network. 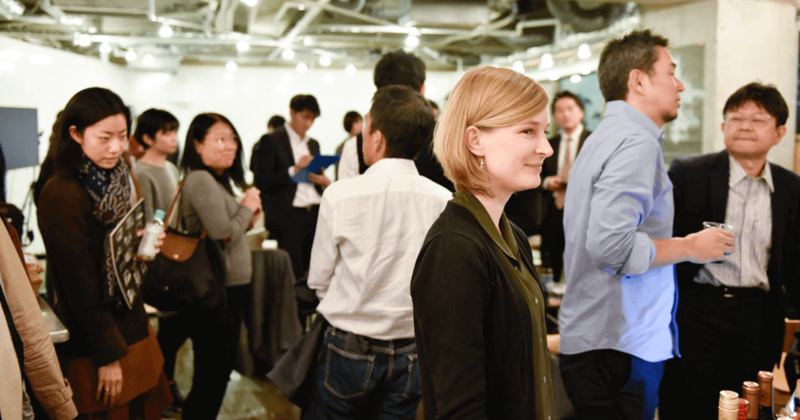 She explains, “When we open a new FabCafe overseas, we don’t evaluate the ‘city,’ but we evaluate the ‘people’ who are there,” and raised the following points. Is there a vision for FabCafe? Is there past experience in digital fabrication cafes? Is there connection to the local creator community? Would FabCafe function as a creative platform? Stuart adds, “FabCafe is not a franchise. In each country, the promoters within each region gather their resources, capital and community and manage the cafe.” She explained how FabCafe has expanded globally by gathering people who sympathize with their philosophy and share their values, ideas, brand, graphics and websites. 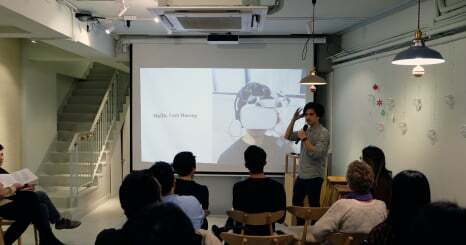 Next, two startups that have gathered attention made presentations. 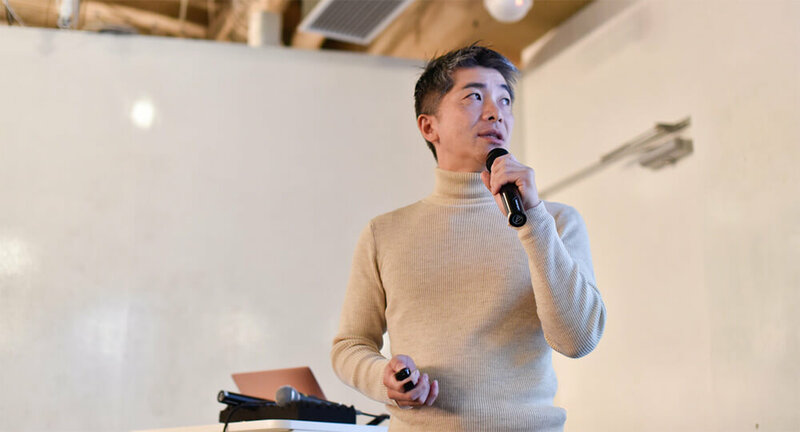 With his vision of “Product for Peace,” CEO Radcliffe Takashi Onishi of the Babels inc. introduced his Q&O (Question and Opinion) service, “historie,” which provides various interpretations of society’s controversial topics. He explains, “From problems of history and international conflicts, the information out there only provides one side of the story. For this reason, society is full of people who only see things from one perspective, which can lead to conflict. As a solution, society needs a product that can line up different opinions from multiple perspectives.” Instead of a Q&A service that provides one best answer, the service collects opinions that cannot be found through a search engine or SNS and information that are not found on Wikipedia or textbooks. By making various opinions easily visible, the service aims to promote the evolution of the imagination that mankind seems to be losing. 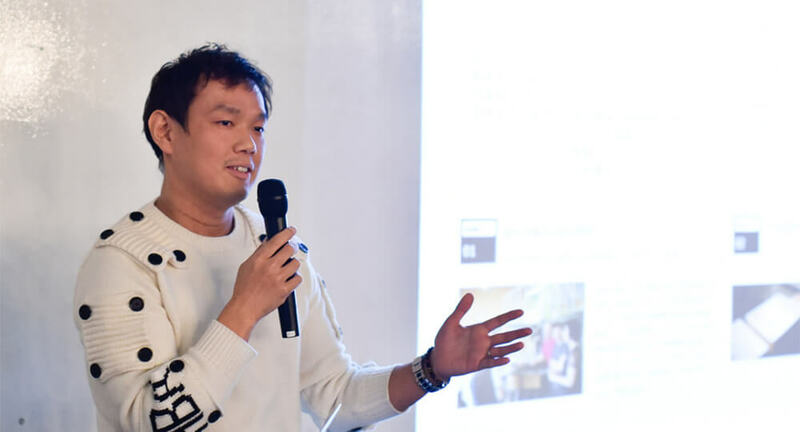 On the other side, , CEO of DiGINEL Inc./DiGITAL ARTISAN Inc., represented a startup which offers technology services related to digital tools. As one of the new services they are preparing to launch, he introduced “OpenNail,” a nail chip service which fits each individual’s nail shape. The company created a process utilizing a 3D printer to allow creators and designers to participate in the nail design process. In the future, easily ordering a nailchip of choice on the Internet and smartphones will become a reality. After all sessions, we invited Zak Murase from Pacific Sky Partners, Masaru Ikeda from THE BRIDGE and Naoko Okada from Network Communications Corp. have a panel discussion. Murase: The Japanese are well-known for their disappointing levels of English. 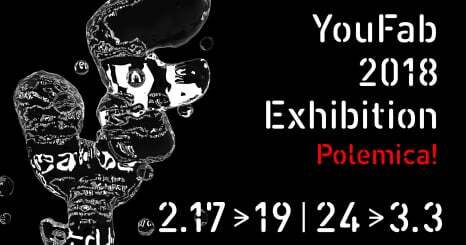 Whereas in the U.S., people are taught to express their opinions from childhood, the Japanese believe in conformity and have a hard time being heard because they do not express themselves. In Silicon Valley, this is becoming an obstacle. 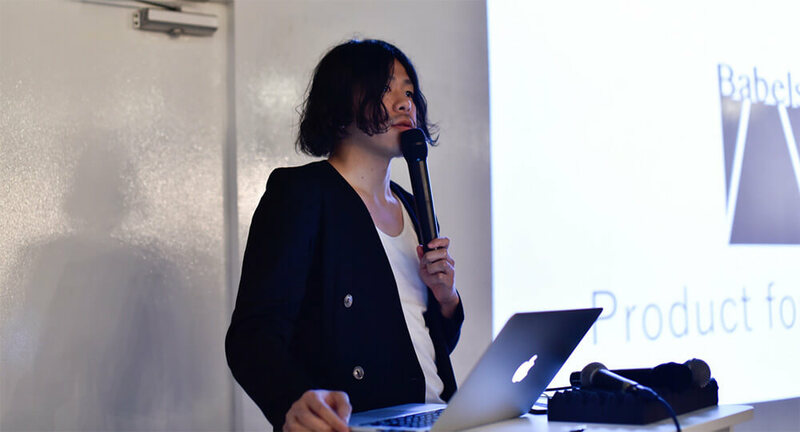 Ikeda: The Japanese try to appeal to the fact that their startup is “Japanese.” But what’s most important is what is left once that national identity is taken away. Okada: Are the entrepreneurs being trained to properly promote themselves? Murase: If you decide to go to Silicon Valley, you should thoroughly practice your elevator pitch. Of course, there are people who are not proficient in English but do well in Silicon Valley. Those are the people who have passion or have something unique and are able to speak with confidence. Even if their English is not perfect, their aura is what leads them to success. This is a skill, too. Okada: Apart from problems regarding communication, it might not matter where you put an office. Ikeda: Since SaaS and the Internet is so commonplace nowadays, it might not matter. In fact, there are many cases where a business is organized around people who are scattered throughout different locations. Expanding business by selecting cities based on their features and gathering expertise in various locations could even be a way to make better startups. Murase: It’s not rare for startups to scatter their teams in Silicon Valley. Startups will be strong if they can create a “best team” while taking advantage of each region’s features. Murase: English. It’s the most important thing. Ikeda: English of course, and also a mindset. If you have lived in Japan for a few decades, what you see becomes the world to you. We can expand our possibilities just by conducting business with the awareness that there are many races and cultures in the world.